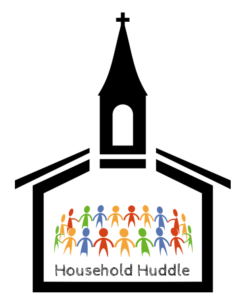 On Sunday mornings starting September 16th, instead of Sunday School, we are going to be holding a “Household Huddle.” Household Huddle will meet from 9-9:45 in Maxcy Hall just like Sunday School used to, but it is open to people of all ages. Our entire Oldtown household is invited, and we especially encourage families to attend together. Household Huddle will give us time to talk, to listen, to learn, and to build healthy relationships. In sports, a huddle is an action of a team gathering together, usually in a circle, to strategize, motivate, or celebrate; which is just what we will be doing during our Household Huddles. Each Sunday morning, we will start by taking a deep breath. We’ll share our joys and concerns from the week. We’ll learn about the day’s Bible story. We’ll find out about ways that we can get involved in worship. And we will work together on a hands-on activity to help connect the day’s story to our everyday lives. It is our hope and prayer that Household Huddle will help our faith become not just a Sunday morning thing, but a real way of living. And in working together with people of all ages and stages, we all become teachers and learners at the same time, as we open our hearts and minds to the Holy Spirit in our midst.